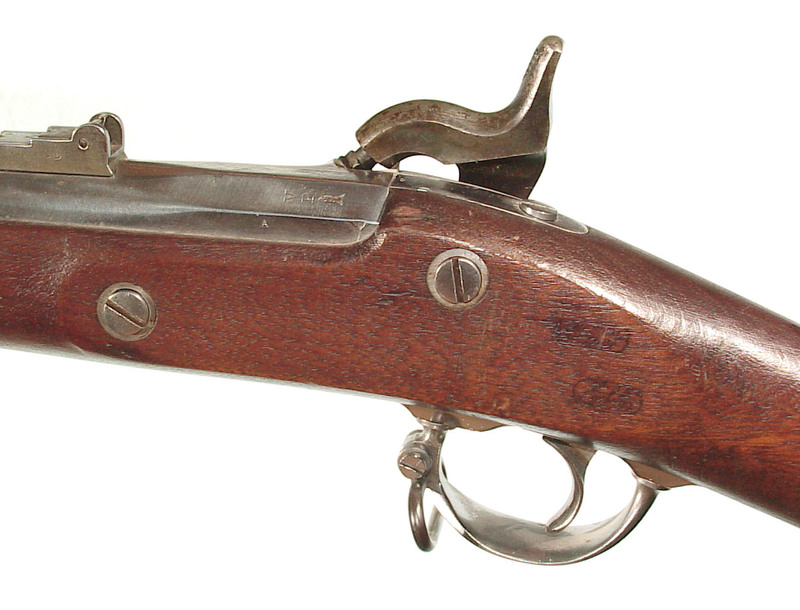 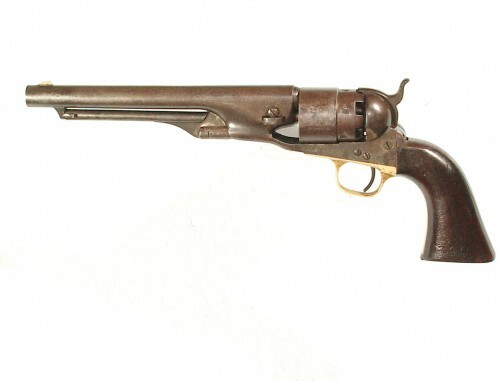 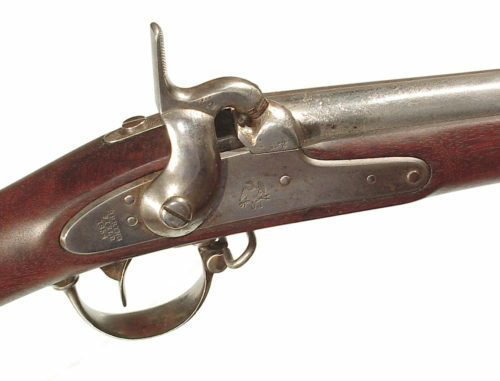 .58 caliber, 40″ barrel polished bright and dated 1864. 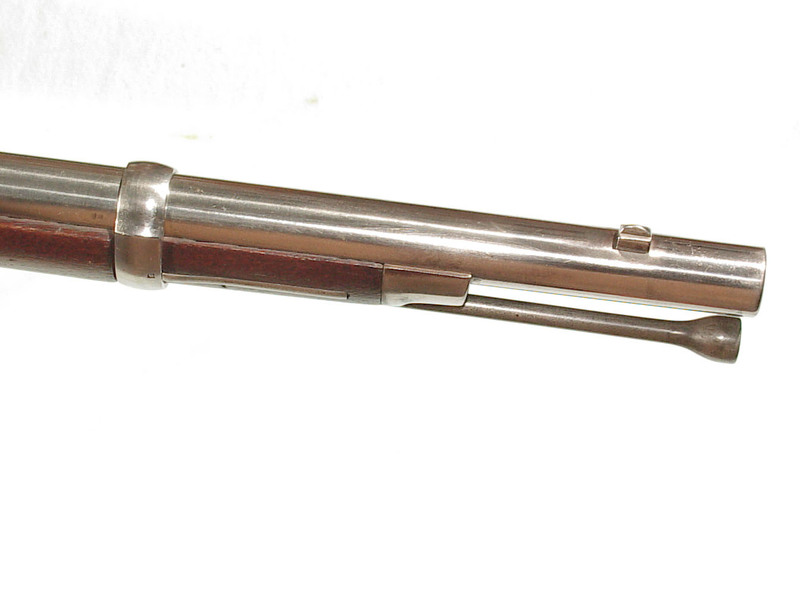 Casehardened lock and hammer dated 1864. 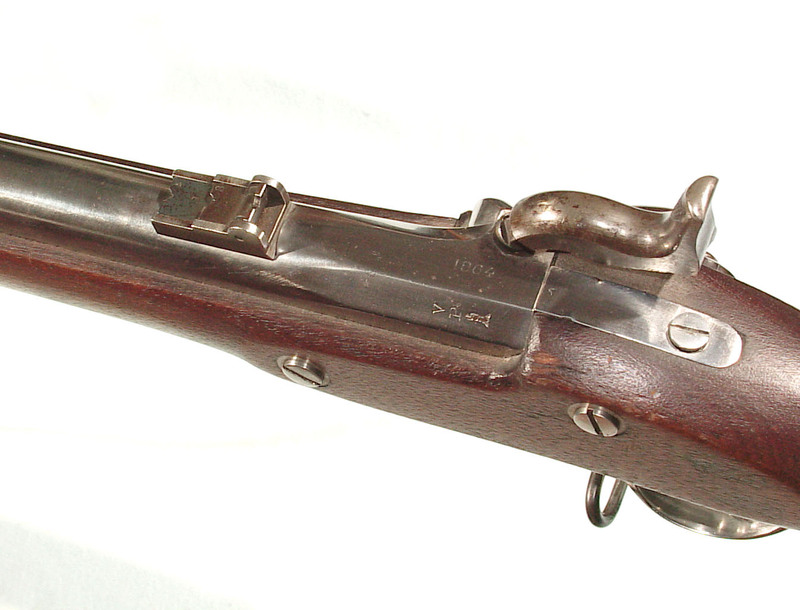 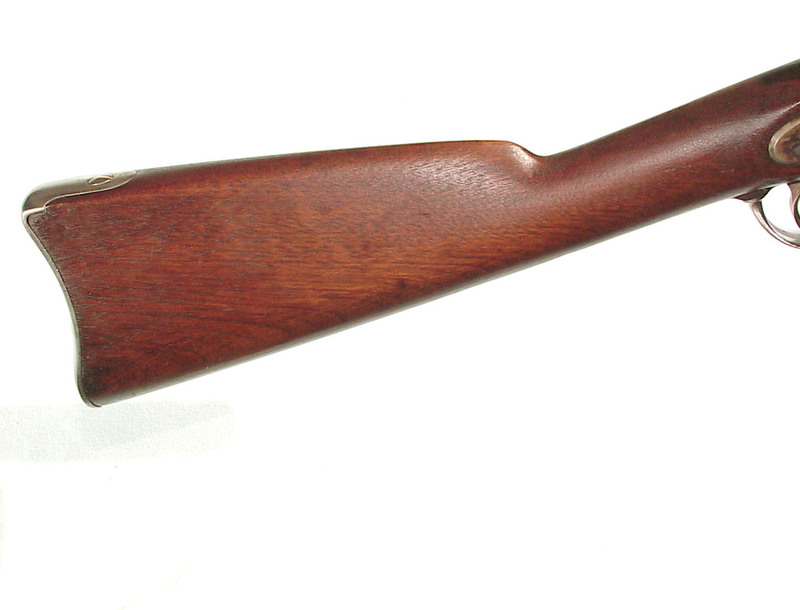 Full length walnut stock bearing two U.S. inspector’s cartouches. 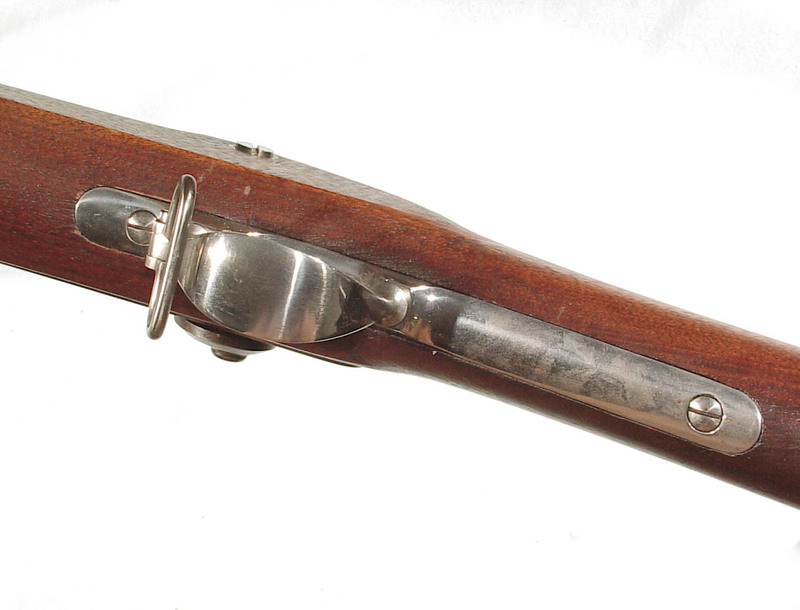 The barrel and mounts showing bright polish and crisp stampings. 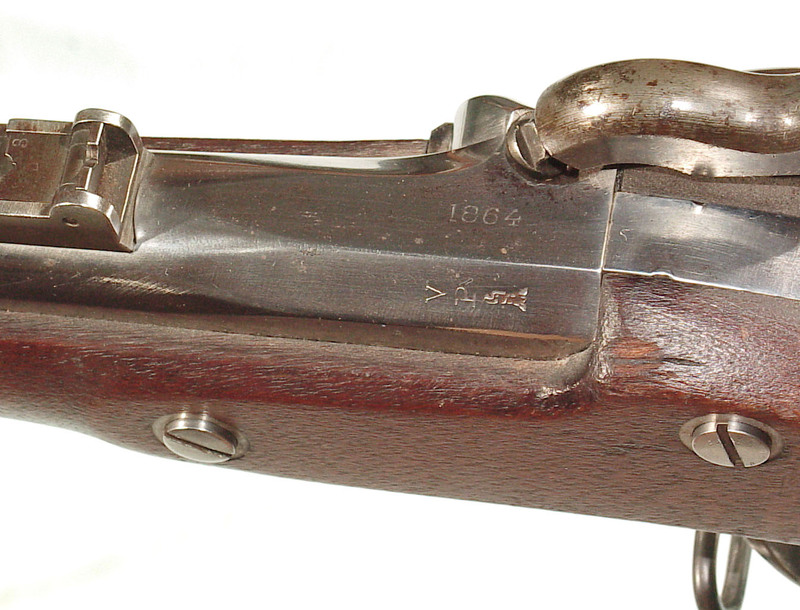 All of the casehardened finish on the lock. 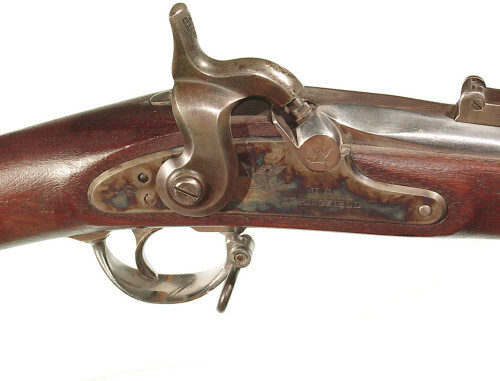 Excellent wood and cartouches with some minor storage marks.